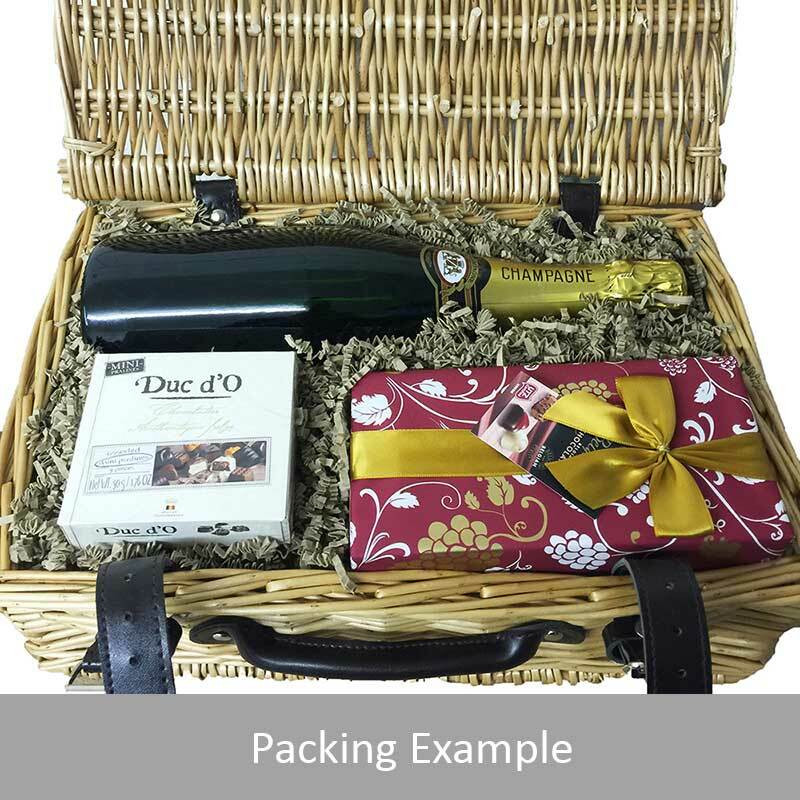 A delightful gift of Dalwhinnie 15 year old along with a box of Hamlet Belgian Chocolate Truffles (35g) and Belgid'Or Fine Belgin Chocolates (175g) all packed in a wicker hamper with leather straps lined with wood wool. All gifts come with a gift card with a message of your choice. 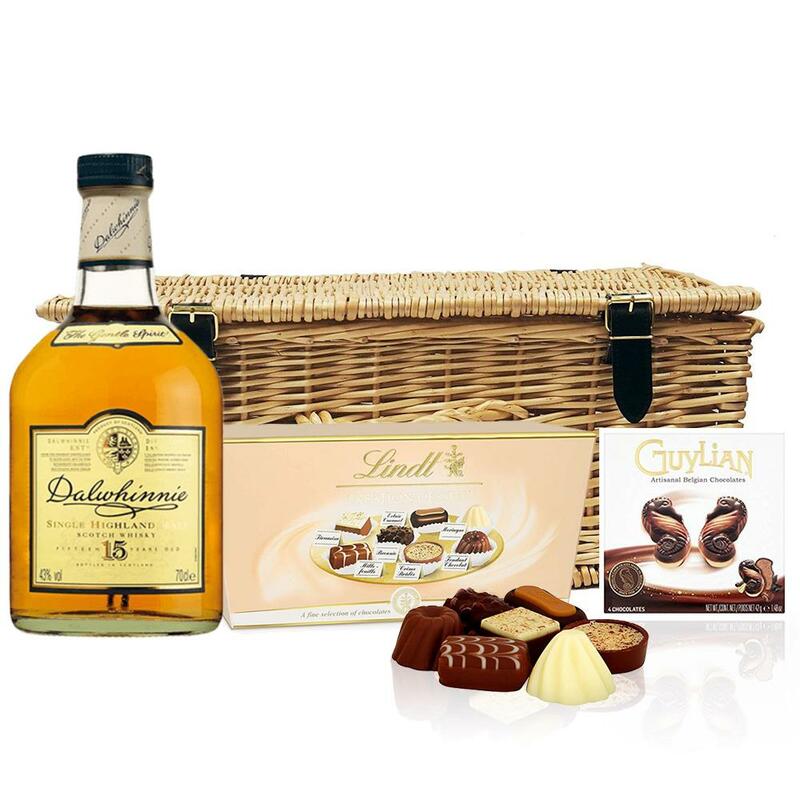 Dalwhinnie 15 year old Dalwhinnie 15 Year Old Malt Whisky has a crisp dry aromatic nose then soft flavours of heather honey-sweetness malt and citrus-fruits lead to a lingering sweet finish and finally more smoke peat and malt.